Our Colchester - Together, with collaborative working, we can achieve greater things. Our Colchester is a BID to make new history in the town centre. It is a business led partnership that will provide sustainable, consistent investment for Colchester and its businesses, delivering additional not replacement services. Local businesses will be in control of the BID which represents all sectors within its defined area. In June 2018 businesses voted in favour of Our Colchester BID’s business plan to revitalise and promote Colchester for the next five years after a month-long ballot, in which the BID secured 85% in favour from a 36% turnout and represented 83% rateable value of the votes cast. After launching in October 2018 the BID will now run for 5 years before asking businesses if they want the BID to continue. The BID’s business plan will now rev into gear to tackle all the issues sounded out by local businesses including anti-social behaviour, improved streetscape, marketing and accessibility. The business plan outlines projects this BID will deliver in aim to increase footfall throughout the town centre. The operations and management of the Our Colchester BID is overseen by a Board of Directors, chaired by Simon Blaxill. The composition of the Board reflects the BID’s membership with Directors drawn from the retail, leisure, office and nighttime sectors. There is also a BID Manager and operational team who deliver the BID’s activities on a day to day level and who report to the BID Board. Together, with collaborative working, we can achieve greater things. 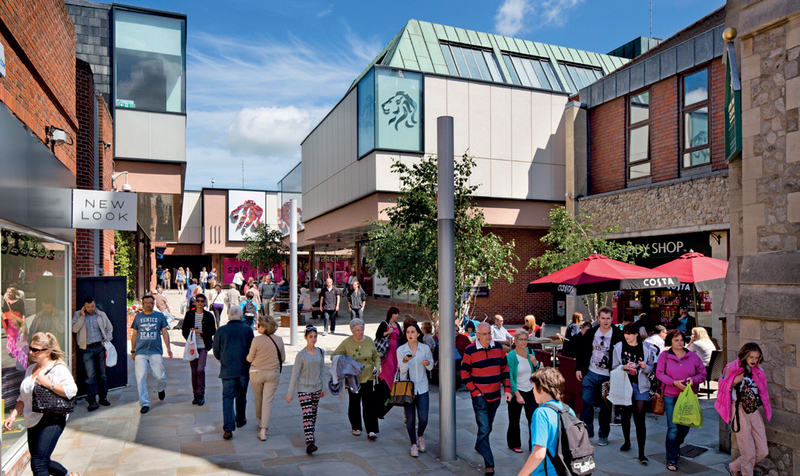 The BID will enhance Colchester Town Centre as a place where people want to shop, live, work, and relax by promoting a high quality, diverse and welcoming environment which is customer focused and investment friendly. Celebrate Colchester’s history and provide a sustainable future. A BID is a business-led partnership that enables coordinated investment in the management and marketing of a defined area. The BID will provide sustainable, consistent investment for Colchester and its businesses. Businesses decide and direct what they want for the area by having a voice on issues affecting the area. A BID charge (known as a levy) is ring-fenced for use only in the BID area – unlike business rates which are paid into, and redistributed, by Government. It brings additionality of services not replacement services. Our Colchester is the BID for Colchester town centre. The BID is launching a new consumer-facing website which aims to bring footfall into the town and become the go-to website for town centre information. As part of this new website, we will have a new brand targeted at consumers. This brand will be revealed to businesses on launch day. Our new website will become the location to find information about Colchester and will range from events, offers, different businesses within the town centre and a range of blogs. A key section of this website will be a directory for all our BID businesses so consumers can see the great selection of businesses Colchester has at the click of a button. If you are a BID business, please take the time to fill out this form which will provide us with all the relevant information we need to make our directory as informative a possible. Our Colchester BID is now providing a Friend of the BID scheme which allows non-levy payers to become more involved in the BID and help shape the future of Colchester town centre. Any business within the BID zone, below the £14,999 rateable value threshold, can now become a Friend of the BID. A Friend of the BID will receive ongoing business support from the BID team including Place Management and Place Marketing benefits. You will also be featured on our consumer website’s business directory with full business details. To become part of our Friend of the BID scheme you will be asked to pay a £200 annual fee which will be invoiced once a year. More information will be available on our Friend of the BID leaflet which will be coming soon. Click here to view our Friend of the BID leaflet. The BID has formed a selection focus groups to deliver key projects from the Business Plan over in its first year. 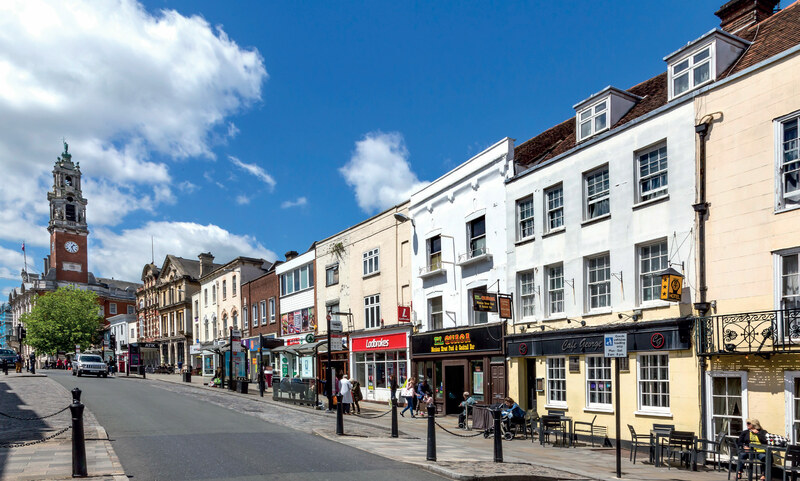 The focus groups discuss ideas and build a delivery plan for each project, in aim to improve the look, feel and presentation of Colchester town centre. Each group is built up from members BID, but welcome professionals from the town centre to join and share their experience. Each focus group is chaired by a Board or Advisory Group member who feels their knowledge and skills would turn ideas into reality. Cleaning-Looking at additional cleaning projects to the town centre aiming to improve the streetscape of the town centre. BID In Bloom- Launching this Summer, the BID will contribute to delivering a range of flower displays across the town centre. These will include eye-catching colours and beautiful displays. Empty units- Exploring the viable uses for empty units around the town centre alongside looking into ways to improve the visual appearance of shop windows. Marketing- The marketing focus group will develop a strategic plan for year 2 including events and campaigns. Nighttime Economy- The BID will promote events and promotions from the Nighttime Economy working alongside Colchester Pubwatch to explore avenues in improving safety and security within the BID. Independent Businesses- This focus group will deliver a campaign which will help raise awareness and support the smaller businesses around the town centre. Click here to see the BID’s latest projects. The maximum period that a Business Improvement District levy can be charged is for 5 years.Once the term is completed the Business Improvement District will automatically cease. If the Business Improvement District Company wants to continue its activities it must hold a new ballot. How do we pay for all these great business ideas? How would a BID work in Colchester? Our Colchester BID will action its business plan to provide sustainable future for the town centre, led by businesses within the BID zone. There will be a controlling body formed which will be made up of different business types in Colchester town centre. All properties or hereditaments with a rateable value of £14,999 or more will be eligible for payment of the levy. Occupiers within shopping centres that are subject to a service charge will pay 1.2% of their rateable value. Charitable organisations that are subject to relief on their business rates liability will also pay a levy of 1.2%. Both the Sixth Form College and Colchester Institute are exempt from paying the levy. The Licensing Authority currently does not have a policy to introduce a Late Night Levy during the term of the BID. The maximum amount payable for any one hereditament has no cap. We are a BID steering group primarily formed of members from the Colchester Presents Community Interest Company (CIC). We are however looking for additional members for our steering group across all sectors so if you would like to be involved please do contact us. We are dedicated to ensuring our town centre prospers into the future, by providing high quality services that businesses want, and by building a vision for our marvellous town centre that customers and businesses alike can embrace. We do hope you will support Our Colchester BID. We look forward to working with you. You can find the full BID business plan here or make contact via email at hello@ourcolchester.co.uk, like us on Facebook and follow us on Twitter for more updates. When does the BID start? Has this BID worked elsewhere? Yes. There are over 280 BIDs in the UK and this number is growing. Many of these BIDs have been in existence for a number of years. The first BID in the UK was Kingston, Surrey, in 2005. Nearby BIDs to Colchester include Ipswich and Southend. One is currently in the process of being established in Chelmsford. What does the BID area look like in Colchester? The BID zone covers most of the town centre and you can see the full parameters of where the area falls in the full business plan here. Can businesses and organisations who don’t pay a levy also contribute? Yes, in other BID areas where businesses have been removed from paying the BID levy or if they are outside of the BID boundary, they can opt to become a ‘Friend of the BID’ and make a voluntary or in-kind contribution. How will the BID board be formed? The BID board will be formed of representatives from the local businesses and organisations that pay the BID levy. The BID board can feature observers from businesses and organisations who do not pay the BID levy but who have an interest in the BID area or services (e.g. a representative from the police or representatives from smaller independent traders), although they will not have voting rights. How can I join the BID Board? There are multiple positions available on the BID Board, including Board Director roles, and roles within both the BID Advisory Group and BID Focus Group. You can find more information about the BID’s strategic aims and the role requirements here. Our Colchester BID is accepting applications for all BID Board positions until Monday 6th August, with interviews to be held on 20th August. To apply for any of these roles, please download and fill in our Application Form. Completed forms should be emailed (with a CV included) to hello@ourcolchester.co.uk before the 6th of August deadline. Stay up to date with the latest news from Our Colchester by signing up to our newsletter below. Our Colchester will use the information you provide on this form to be in touch with you and to provide updates and marketing. You can change your mind at any time by clicking the unsubscribe link in the footer of any email you receive from us, or by contacting us at hello@ourcolchester.co.uk. We will treat your information with respect. For more information about our privacy practices please click here. By clicking below, you agree that we may process your information in accordance with these terms. You can get in touch using the email address or contact form below. Don't forget to follow us on social media for live updates.